The oil & gas sector’s finally getting serious about large-scale carbon capture and storage (CCS). But what’s behind this technology push? And does it really matter? Until relatively recently Carbon Capture & Storage (CCS) was regarded as a fringe technology: one of a number of low carbon concepts which had more than its fair share of evangelists but was decades away from being taken as seriously as many claim it should be. That has now changed, and after decades of inaction fossil fuel giants are now getting behind the suite of processes than can prevent CO2 from entering the atmosphere by capturing it at source and storing it deep beneath the ground. Just last month Shell’s chief executive Ben Van Beurdon said the technology will be essential if we are to limit future rises in temperature to within 2oC, the level beyond which governments agree the effects of global warming would be unacceptable. 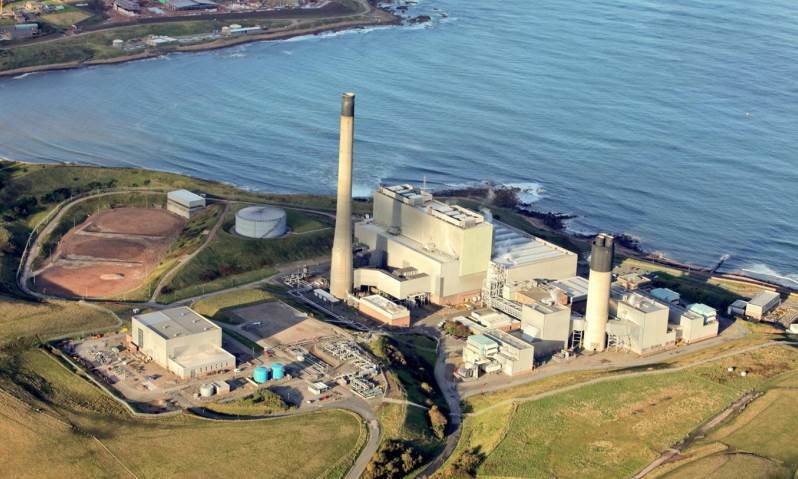 The company currently has a number of demonstration projects on the go around the world and is a key player in plans to turn Aberdeenshire’s Peterhead Power station into the world’s first commercial-scale, CCS enabled gas-fired power station. The world’s biggest oil company, BP, is also championing the technology with its chief economist Spencer Dale recently claiming that CCS will be essential the company’s future plans. It’s hardly surprising really. If we want to continue burning fossil fuels without tipping the planet into oblivion we need CCS, and the industry therefore can’t survive without it. Of course, some will argue that the climate science is wrong, that CCS is completely unnecessary, and that industry backing for the technology amounts to little more than a PR offensive, aimed at restoring investor confidence and derailing the divestment campaign which has gathered momentum in recent months. Others will argue that CCS is a harmful and expensive distraction, that the technology will never be deployed on a scale large enough to make a difference and that rather than finding ways to prop up our fossil fuel use we should simply stop, and invest the money in energy technologies that aren’t underpinned by hydrocarbons. In response, there’s little doubt that the motivations of the oil and gas sector are complex: there’s naturally a high degree of self-preservation at play and, despite its growing interest in the technology, current efforts are unlikely to have much impact. Indeed, to have the required impact CCS will need to store billions of tons of CO2 every year: and this is a monumental task. But industry’s growing acceptance of the importance of the technology is nevertheless, we would argue, to be welcomed. Mankind isn’t done with fossil fuels yet. The reality is that whatever the scenario, however dire the predictions and real time climate observations, we’re going to take more time than we’ve really got to wean ourselves off oil, coal and gas. CCS might buy us this time, and give us the space to get used to the idea of a truly zero-carbon future. A very well put article. I think that we need both CCS and nuclear power in the short term but definitely we need a zero carbon future at the earliest opportunity. Oil is in any case too useful a resource to be wasted by burning it. You are right that the oil companies are only getting serious about CCS because they see the writing on the wall fro fossil fuels. This is great. However, just in time for the closure of the last few deep coal mines in the UK. Madness. Not sealed off or mothballed, as would be prudent, but virtually shut for good, some of them newly constructed. And perhaps self-preservation by another means, with the reduced investment in wells and thingies (aplogies for the techno-jargon), this will give the engineering staffs something to do to keep them occupied? Any engineering compnay cannot survive without its highly educated and trained workforce, what ever impression to the contrary management might wish to give. @Wallace, perfectly put about the engineering companies being able to survive… it’s amazing how many technology and engineering companies have more project managers than engineers… or at least it seems like it! CCS is a great step but I’m very much with Malcolm, even if you don’t believe in man-made global warming one thing you can’t deny is that fossil fuels are a finite resource and we need to find a sustainable option that doesn’t create the levels of waste that nuclear does. What would be ideal would be a well funded R&D opportunity to deal solely with tackling the storage issue, once that’s cracked renewable sources become a far more promising option! Carbon dioxide is an important plant food and enhances agriculture. One estimate of the agricultural benefit of the recent rise in carbon dioxide levels is in excess of $3 billion. More than $2 billion has been spent on wind and solar power without making any measurable difference to carbon dioxide emissions. Squandering more money on CCS to reduce emissions of a beneficial gas in a world that stopped warming 18 years ago is nonsense on stilts. It would certainly appear that increasing grasslands, forests and other plant life is the best possible way of sequestering CO2. The other present use is enhanced oil recovery; but storage seems to solve none of the issues.